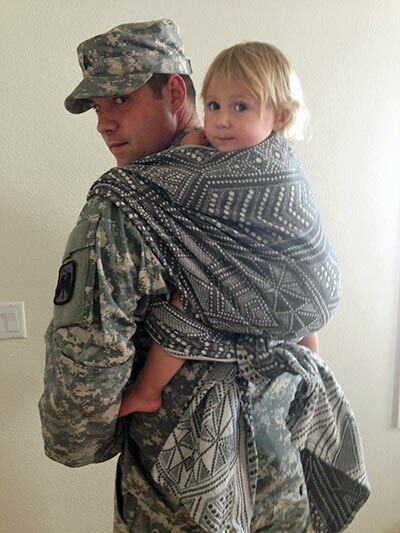 This dad from JBLM Babywearers is 6′ and 200 lbs, using a size 3 woven wrap to carry toddler in a Rucksack Carry TUB (tied under bottom). 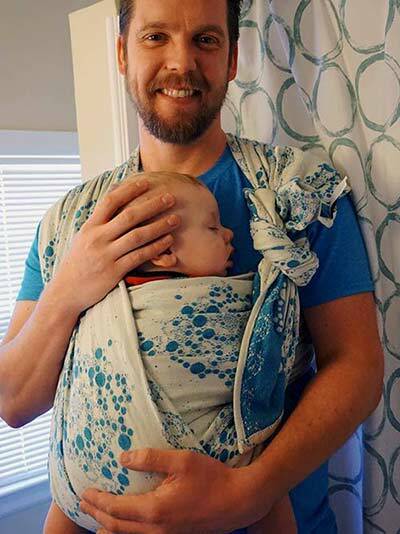 Dad from BWI of Orlando is 6’2 and 200 lbs carrying his 2 month old baby in a Traditional Sling Carry (formerly called Rebozo Carry) with a size 3 woven wrap. 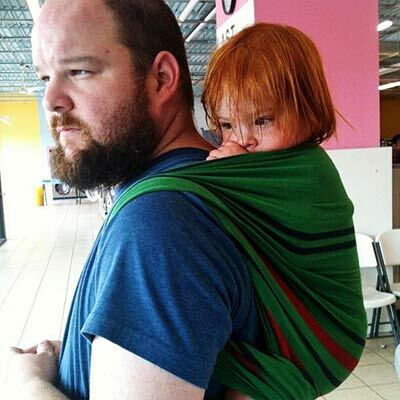 This dad from Babywearing International of Knoxville is 6′ and 270lbs, carrying his little baby in a Traditional Sling Carry (previously called Rebozo Carry) with a size 3 Didymos woven wrap. 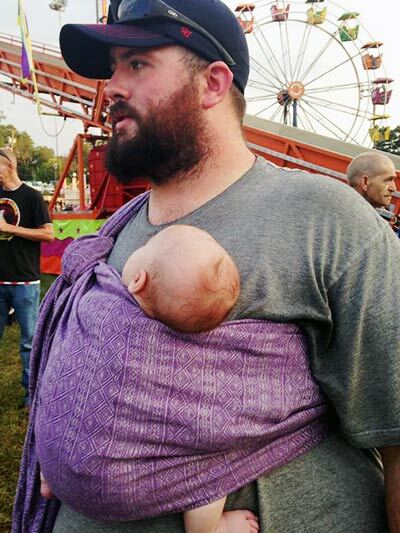 Same dad from above (6′ and 270 lbs) with his little baby wrapped in a Kangaroo Carry with a size 4 woven wrap. 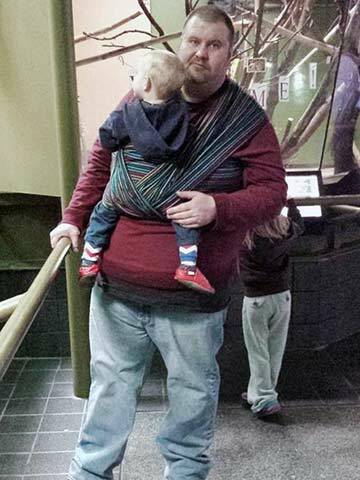 This dad from Greater Lafayette Babywearing is 6′ and 180 lbs, with baby wrapped in a Half FWCC with a size 4 woven wrap. 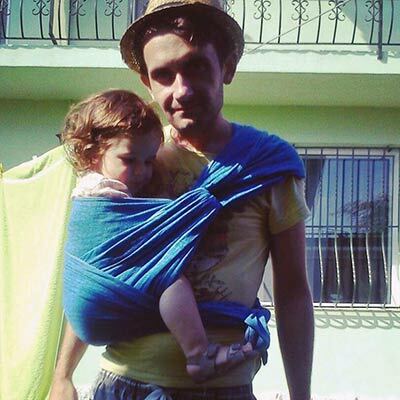 Dad from Babywearing Group Bucuresti is 1,83 meters (6 ft) and 70 kg (154 lbs) with 21 lb toddler in a Reinforced Robins Hip Carry with a size 5 Didymos wrap. 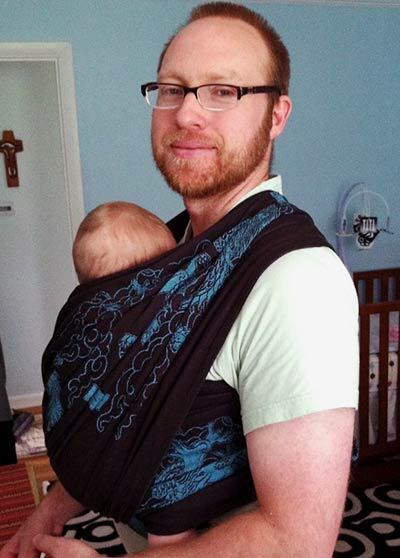 Dad from Oly Babywearers is 5’11 and 170 lbs with baby in a Front Wrap Cross Carry (FWCC) with a size 5 woven wrap. 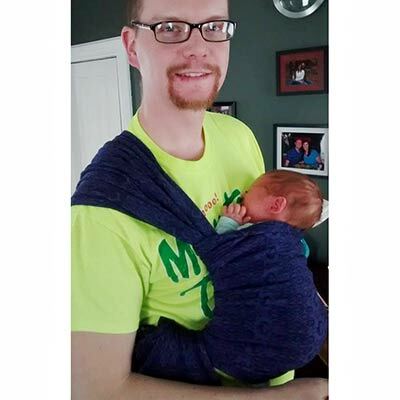 This dad from Babywearing International of Grand Rapids is 6’3″ and 180 lbs with baby wrapped in a centered Poppins Carry with a size 5 woven wrap. 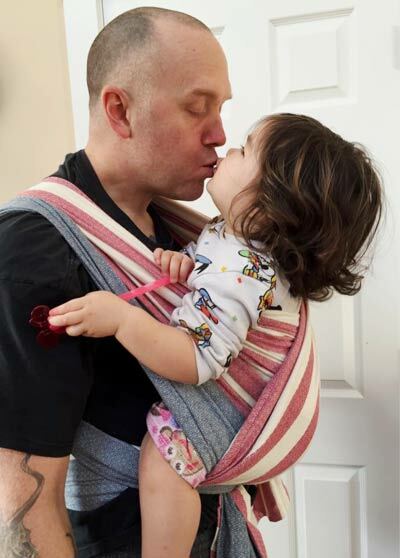 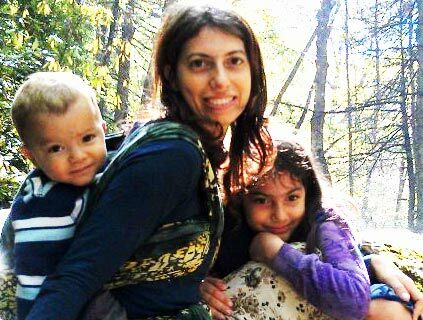 Dad from Babywearing group is BWI Rockland Westchester is 6’3″ and 170lbs with baby in a Front Wrap Cross Carry (FWCC) in a size 5 woven wrap. 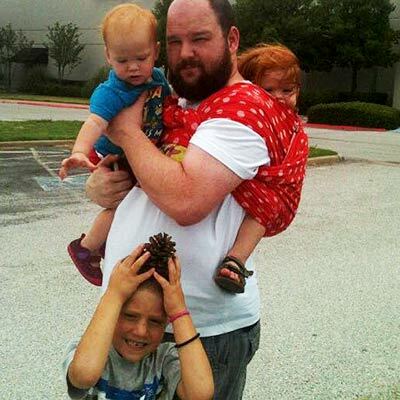 This dad from Southern DFW Babywearers is 6’1″ and 250 lbs with toddler in a Rucksack Carry tied in front with a size 5 woven. 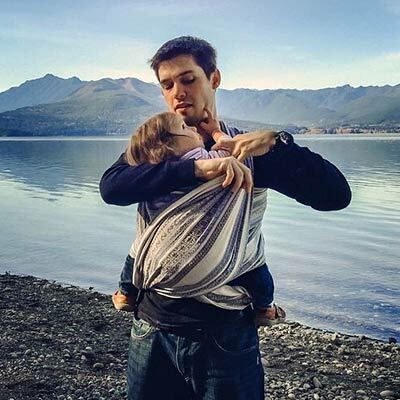 Same dad (6’1 and 250 lbs) with baby in Double Hammock Tied at Shoulder with a Candy Cane Chest Belt (DHC TAS with CCCB) in a size 5 Didymos wrap. 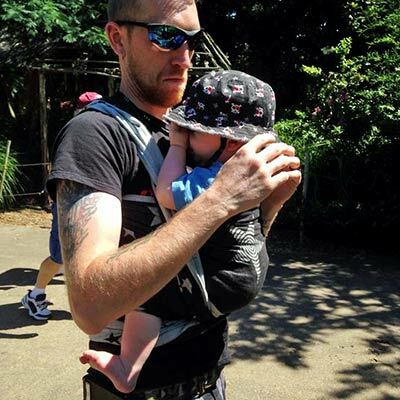 This dad from JBLM Babywearers is 6’2 and 205 lbs, carrying his little one in a sweet Front Cross Carry with a size 6 woven wrap. 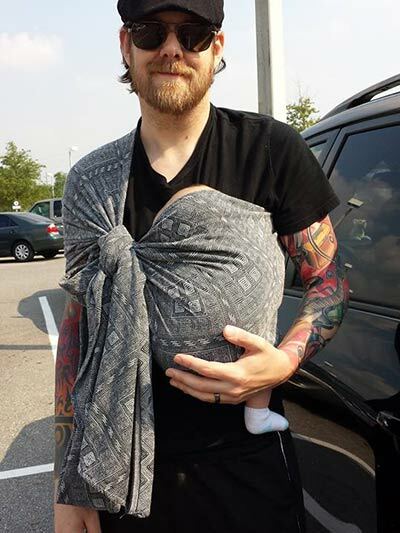 Dad from BWI of SC PA with baby wrapped in a Front Wrap Cross Carry (FWCC) with a size 6 woven wrap. 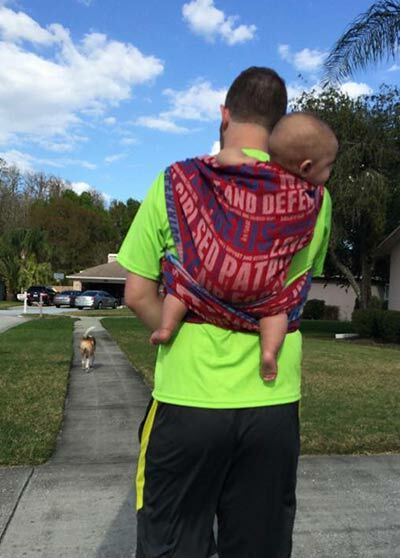 Dad from Tampa Bay Babywearing is 5’11 and 185 lbs, with 4 month old baby in a Knotless Rucksack Carry with a size 6 woven wrap. 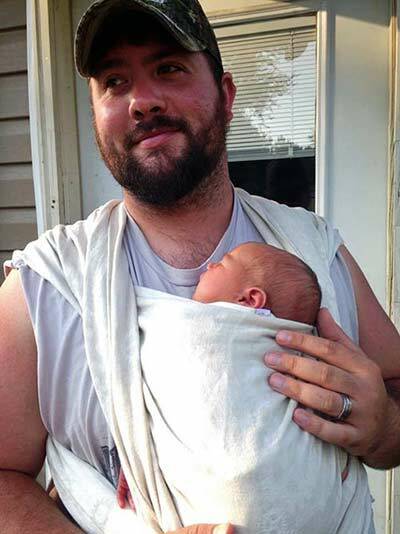 Steven from Babywearing International of Southeastern Pennsylvania is 5’11 and 190 lbs doing a Front Wrap Cross Carry with a size 7 wrap. 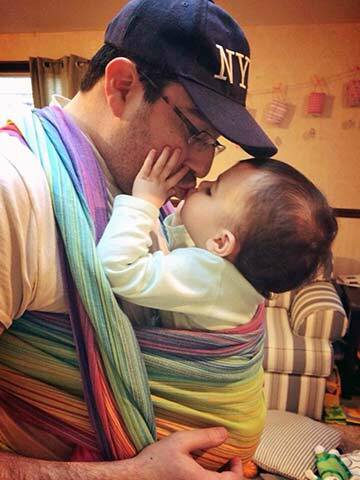 Shaun from Lakeland Babywearing is 5’9″ and 200 lbs with Elodie in a FWCC with a size 7 wrap. 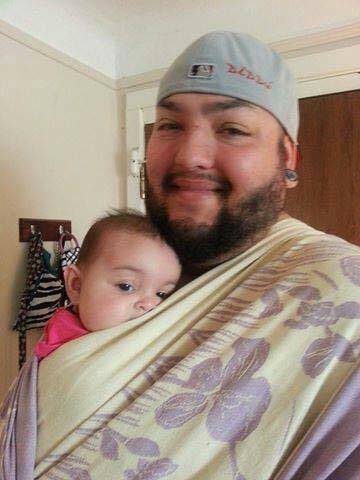 Dad from Hamilton Babywearing is 6’4 and 300+ lbs wrapping his baby in a FWCC with a Size 7 woven wrap. 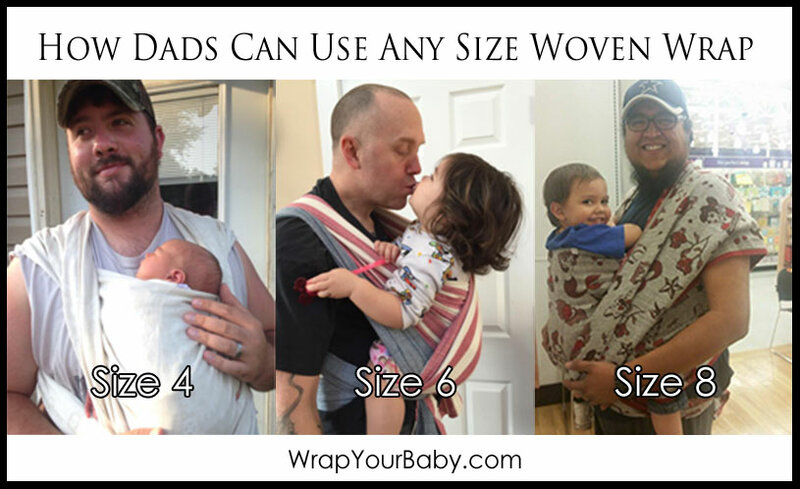 Jim from Kenosha Area Wearers is 360 lbs and 6ft 4 inches, wearing a 52 inch waist. 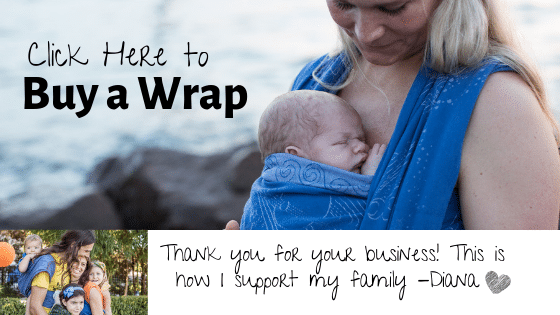 He finds wrapping more comfortable than other carriers and was surprised how easy it was. 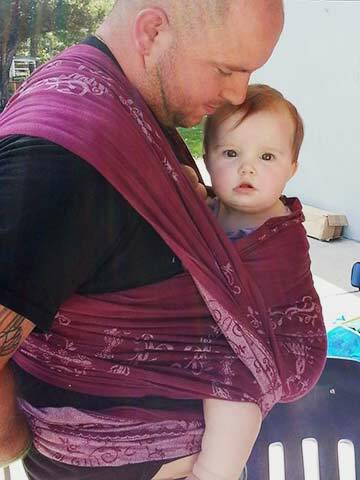 Using a 5.4 meter wrap (between a size 7 and size 8 woven) with his son James Jr in Front Wrap Cross Carry (FWCC). 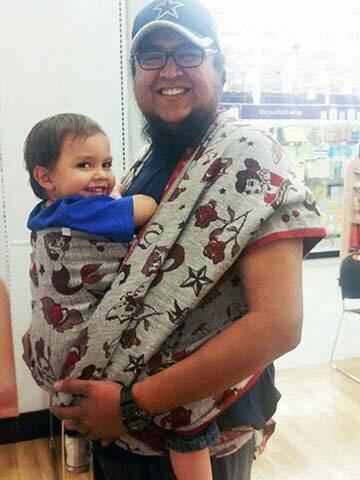 Arturo of Sun City Babywearers is 6’5 and around 300 lbs, wearing 35 lb toddler (in 4T clothing) in Front Wrap Cross Carry with a size 8 woven Natibaby Tattooed wrap.